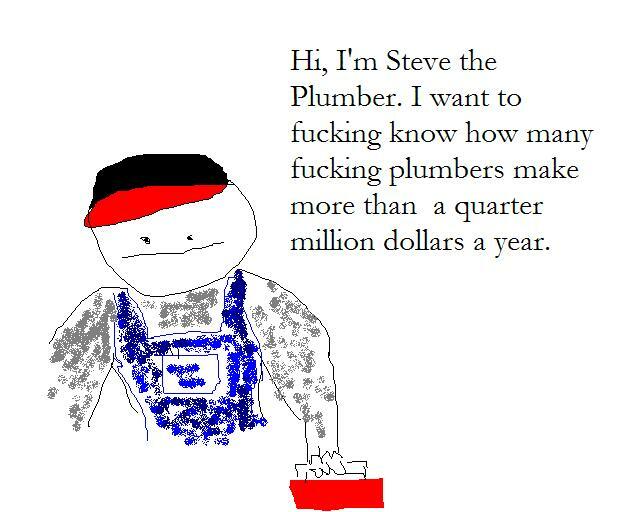 Steve the Plumber | Whiteboard "Comics"
Sorry, I forgot to draw one on my whiteboard, so to compensate, I whipped one out on MS Paint. Hopefully you like my mad skillz. More whiteboards tomorrow.